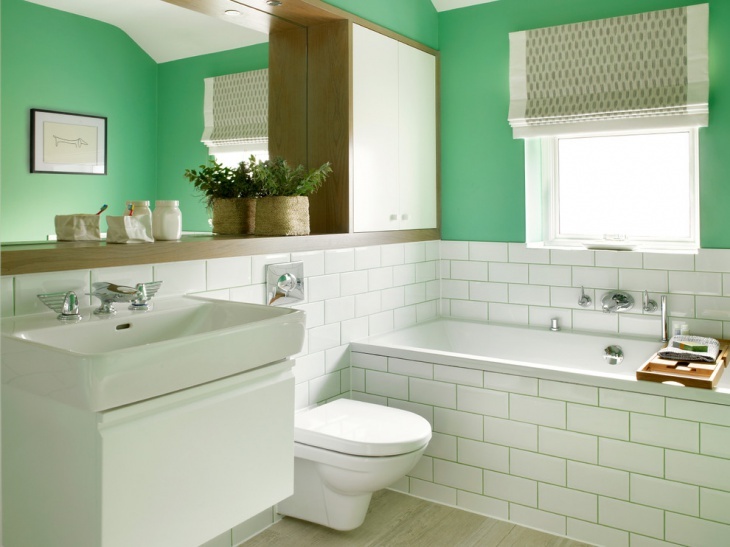 If your bathroom is really small, then using only the basic and absolutely needed accessories (i.e. a toilet and a sink) makes sense, doesn’t it? Well not exactly. 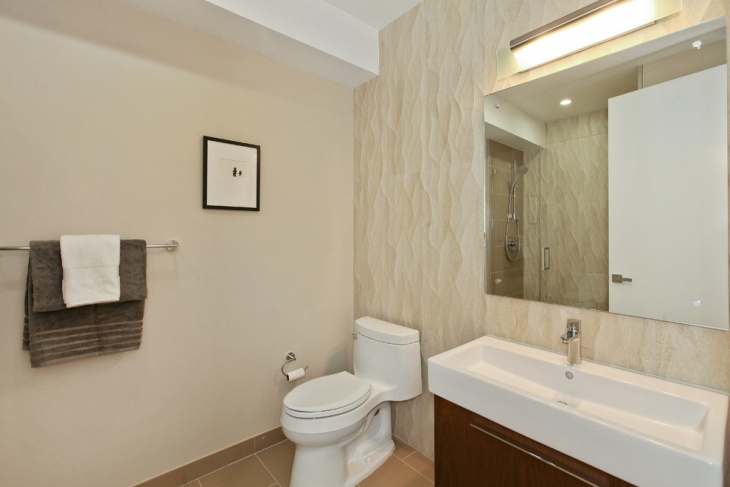 It might look like the greatest challenge to remodel or decorate such a small space, but it’s really not that hard. You just need some inspiration. 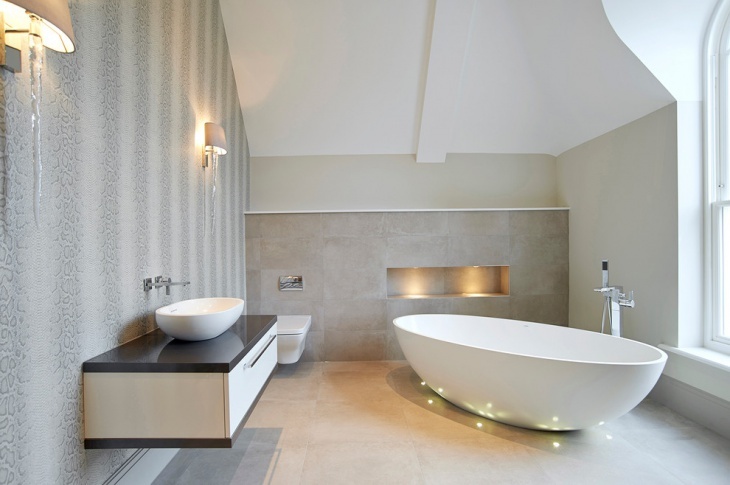 So get ready to be inspired by these small bathroom designs we have put together for you. 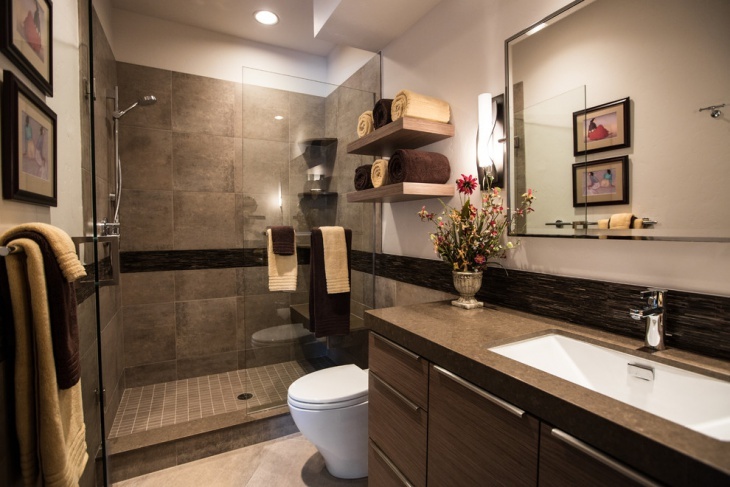 For small bathroom remodel designs you can choose tiles in neutral colors. This will make the space look brighter and bigger than it is. Also accessorize with a poster or a small indoor plant that will breathe life adding color. 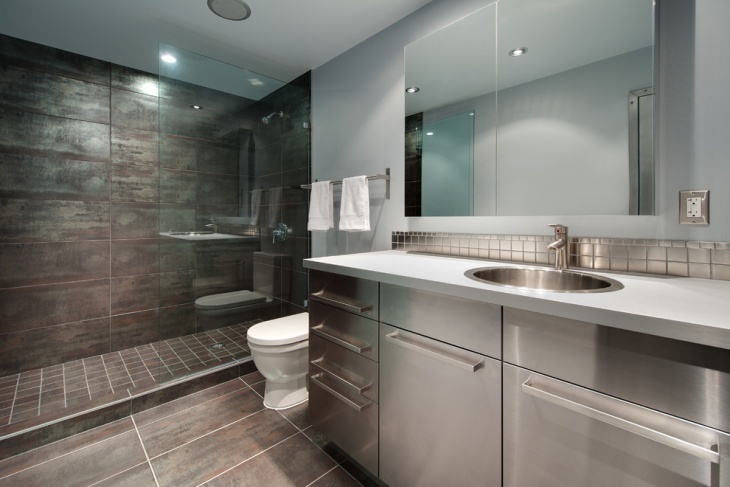 If the room has a narrow layout you can just choose a narrow sink. This will be great for your kids or an attic bathroom. For heating choose a wall towel hanger that will hung, heat and dry your towels. 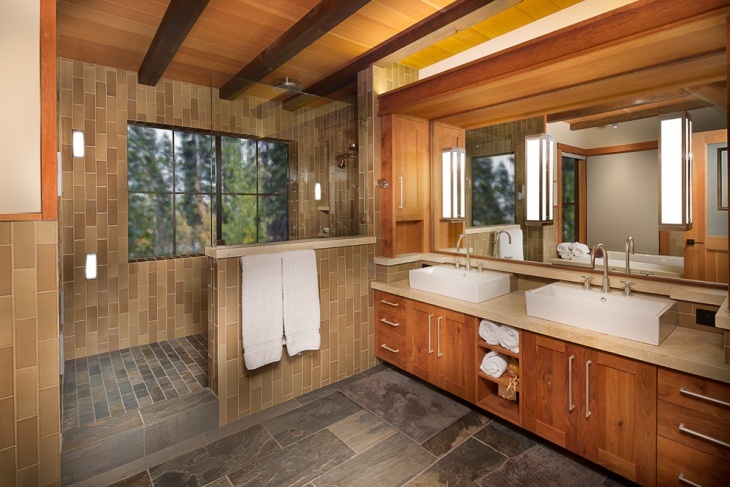 If you are planning to remodel your cottage then consider using wood for a natural and rustic feeling for your half bathroom. 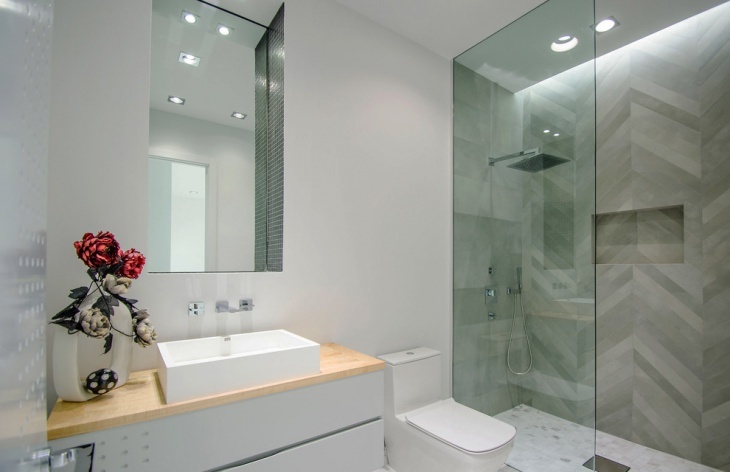 You can put a small shower made of glass and a narrow sink to save much needed space. The southwestern style is both charming and cozy. 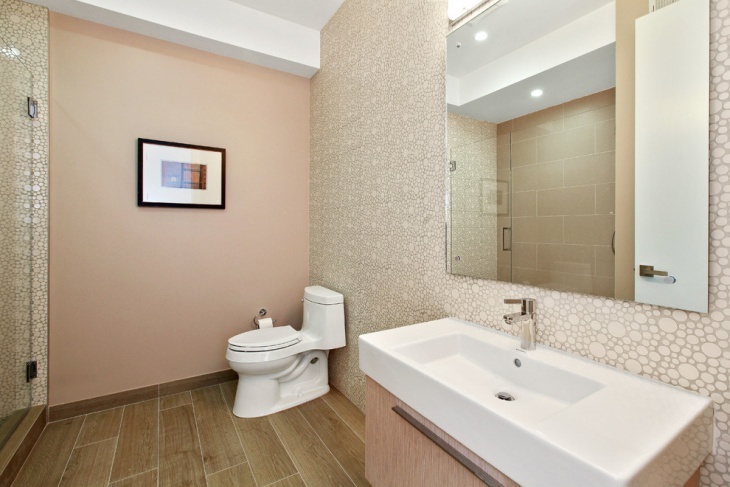 You can choose brown tiles for the flooring to resemble a farmhouse theme for your bathroom along with brass a faucet. Decorate with a small fuzzy rug to warm up our space. 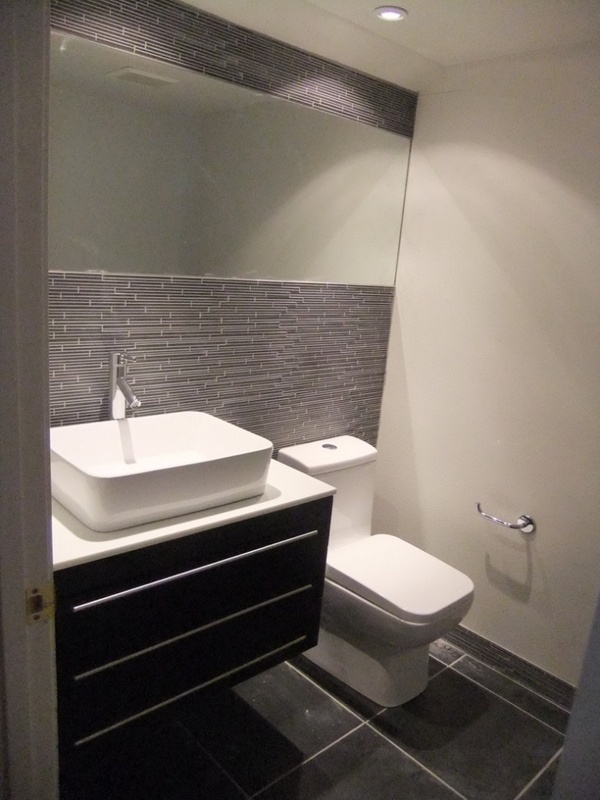 Make the change with your wall tiles. 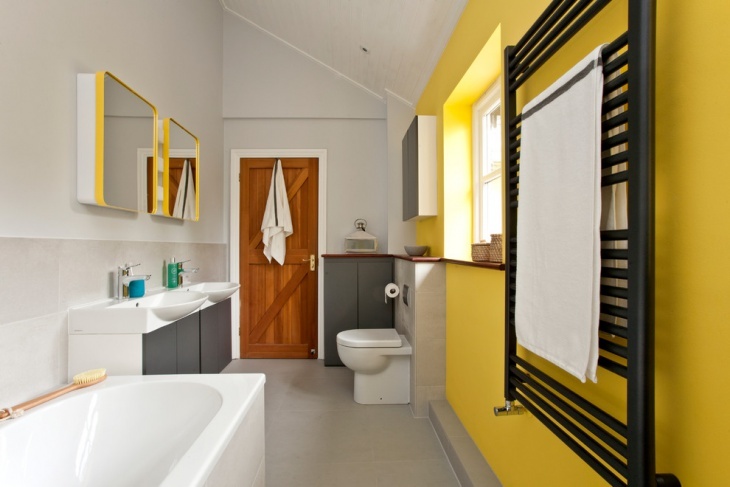 You can choose any shade that will keep the room bright but still give that something special that it needs. Soft blue is a great choice especially for a house on the beach. 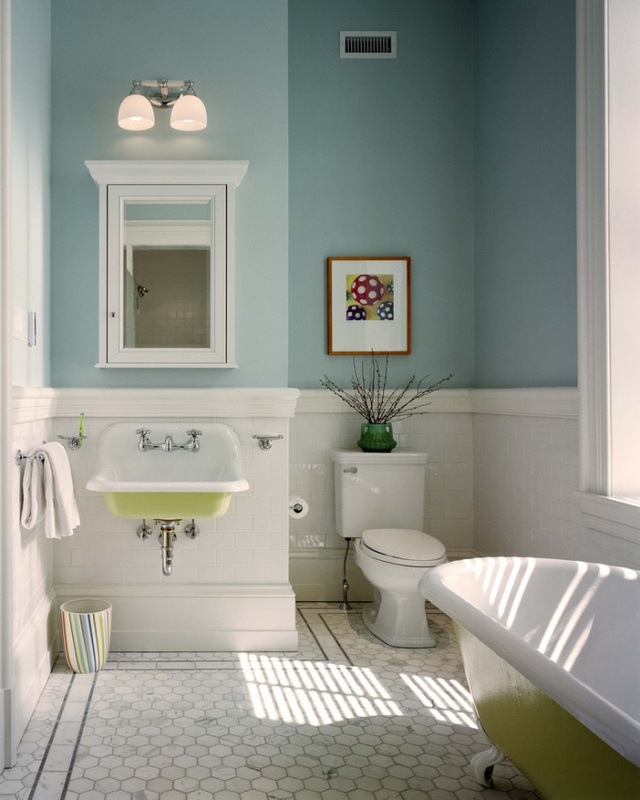 Keeping simple and soft lines as well as pastel color schemes will help you create an interesting space. You can add a couple details on the flooring, a poster on the wall or even a stained-glass for the window. 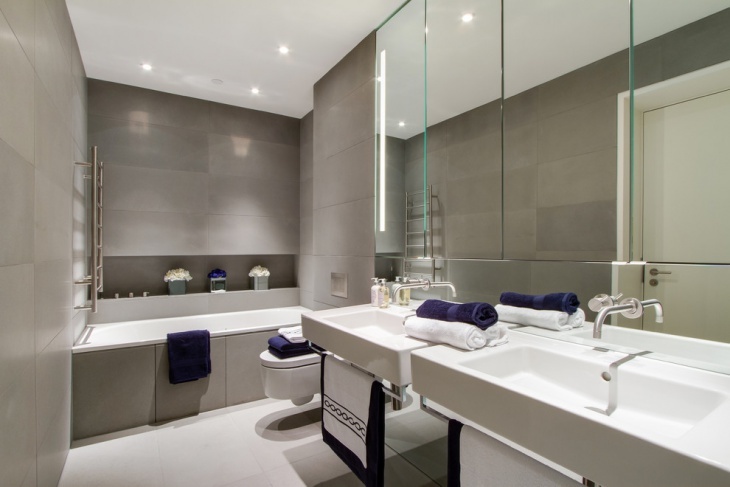 For a minimalist bathroom you can choose marble surfaces. The clean cut of the lines make it modern. It will make the space look simple and organized at all times and that’s why it is suitable for a bachelor’s house. 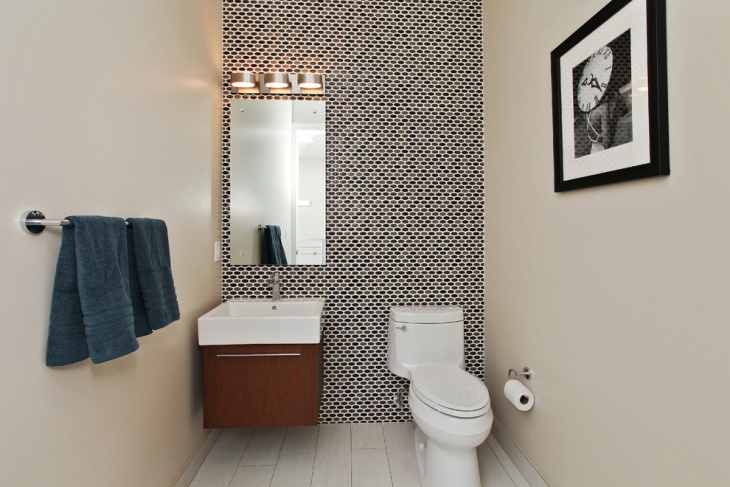 Having storage space in a half bathroom is essential. Simple and small shelves will give you enough storage without taking valuable space. 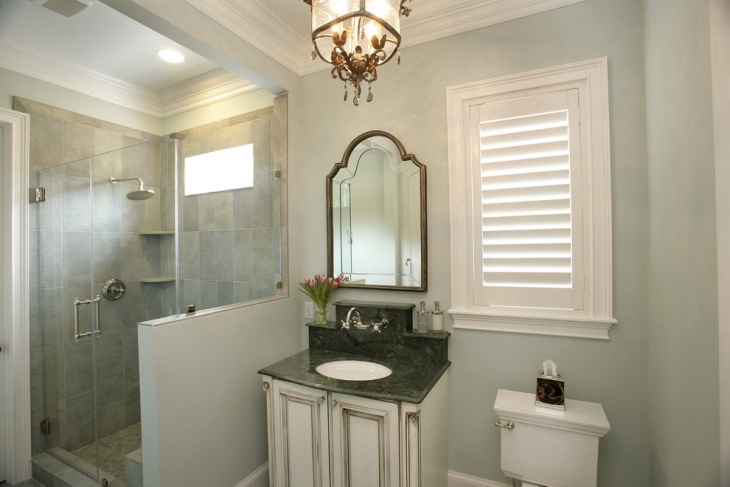 This will be a great idea for small master bathroom designs. The sophisticated look matches a modern bedroom. 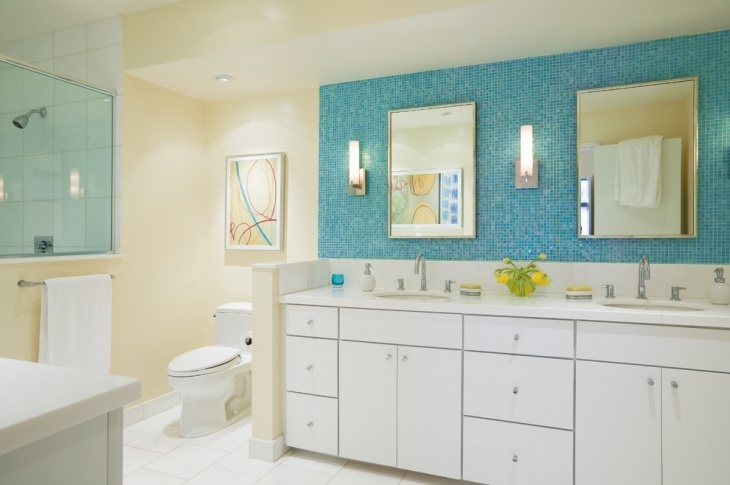 For a modern style you can use a patterned wall design. 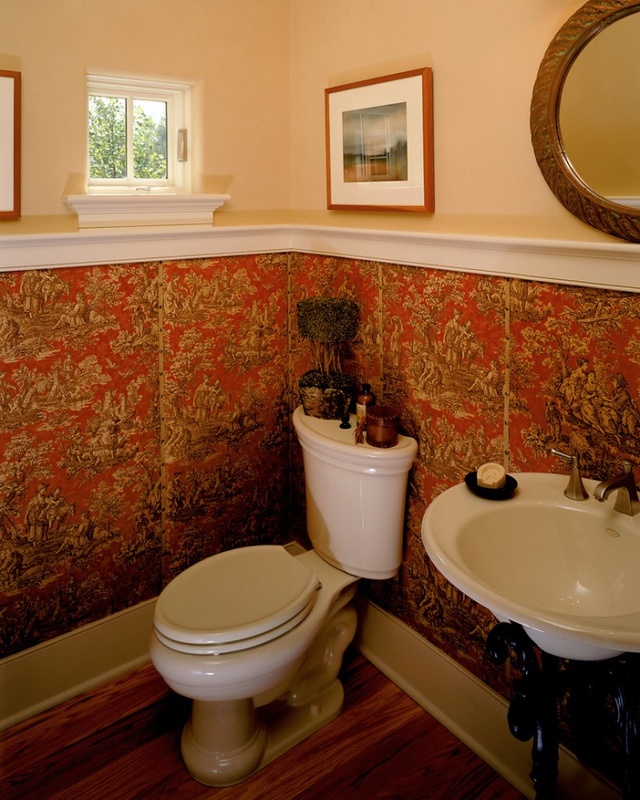 You can find patterned wallpapers in a multitude of designs that can remodel your small half bathroom without much effort. This is a great choice for modern apartments. 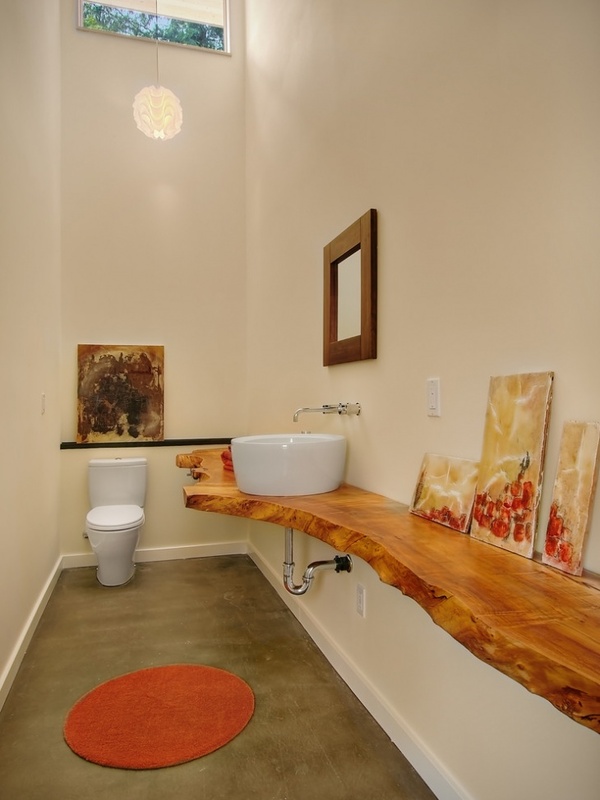 For small bathroom renovation ideas you can be inspired from nature or from a feeling. 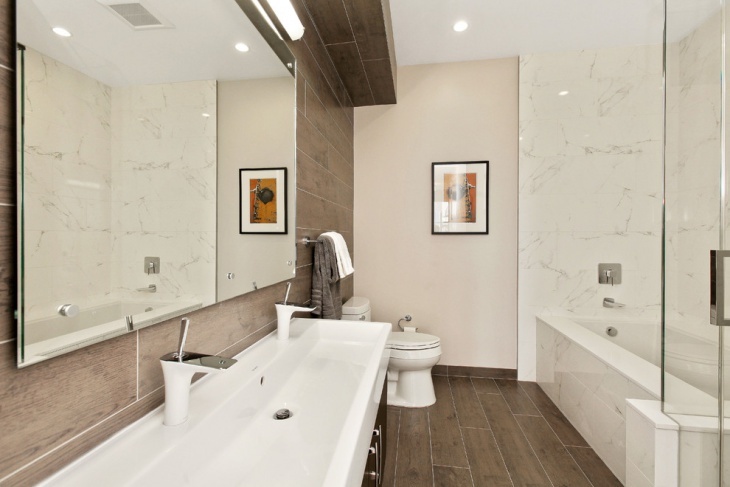 You can experiment with the surfaces or even do small changes on the tiles or the flooring. Because size doesn’t matter in order to create a beautiful space, able to fit your tastes in style.